I am not a great fan of books. I am perhaps too lazy for it. But the buzz Chetan Bhagat manages to get around his work makes you think its important to buy it just because everyone else apart from you seems to be doing that. That's where he is successful in creating that initial interest in his product. But still it takes a lot of motivation to go to a book store or log in to flipkart and actually make a book purchase. But see the beauty of his marketing skills here as well. He has made it an impulsive buy by bundling it along with your grocery shopping! 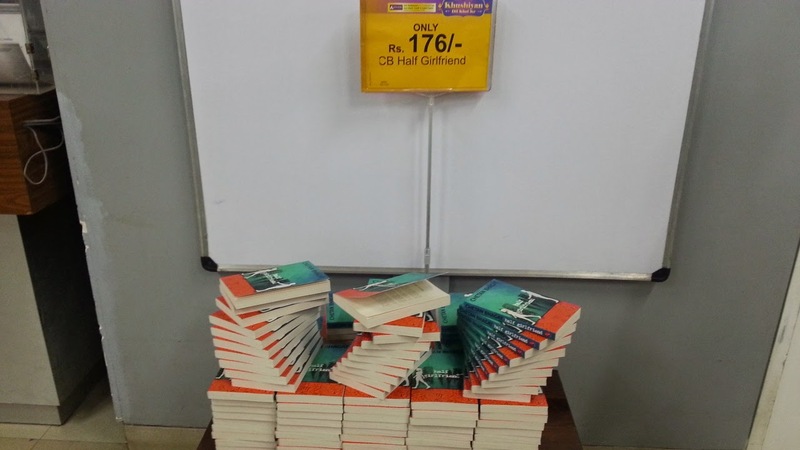 Not only that, its the only thing placed at the billing counter making it so difficult NOT to end up buying it. 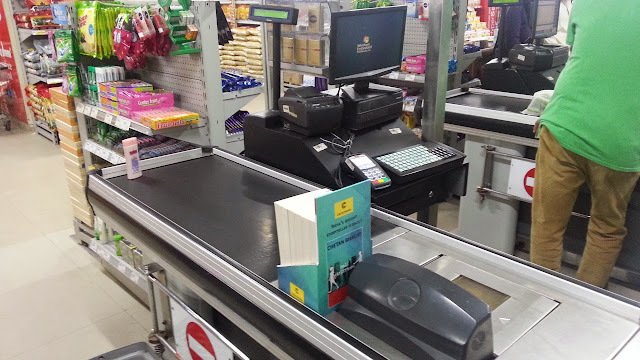 Check out these pics I captured at Hypercity Kundalahalli Gate where it occupies exclusive placements in all billing counters and special counters placed near exits. Amazing, isn't it?